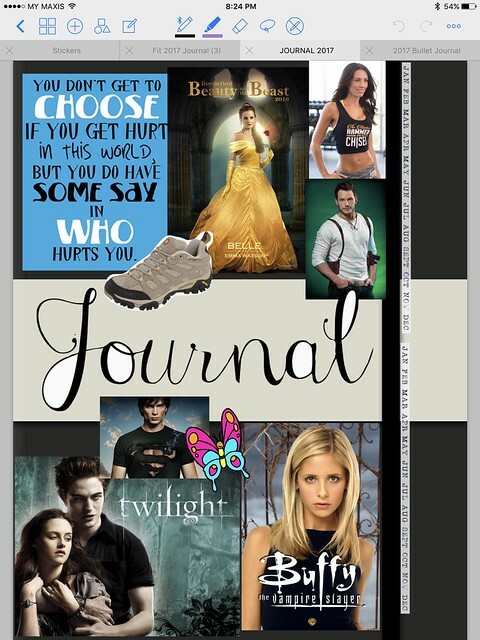 I am a big fan of journaling even since I was a little girl. Any form of memory keeping excites me. For the longest time I have been keeping a diary / a journal to write down anything that comes to mind. I collect many notebooks over the years, so got used and some just sitting on my desk collecting dusk. I started to journal in my new book this year but somehow I have always forgot to bring them to work or anywhere else. 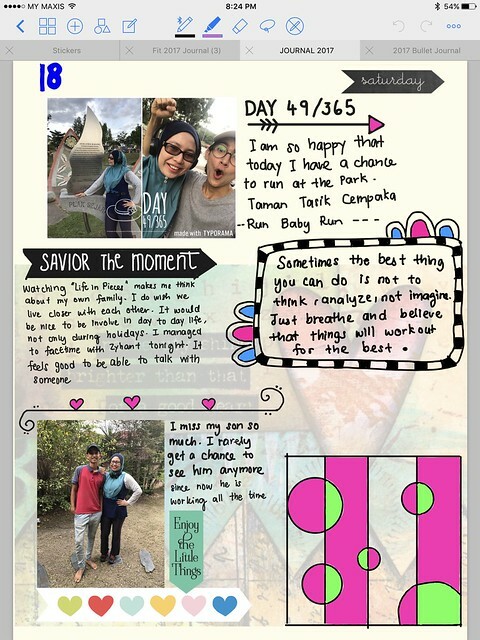 So this month I decided to do digital journal on my iPad Pro. 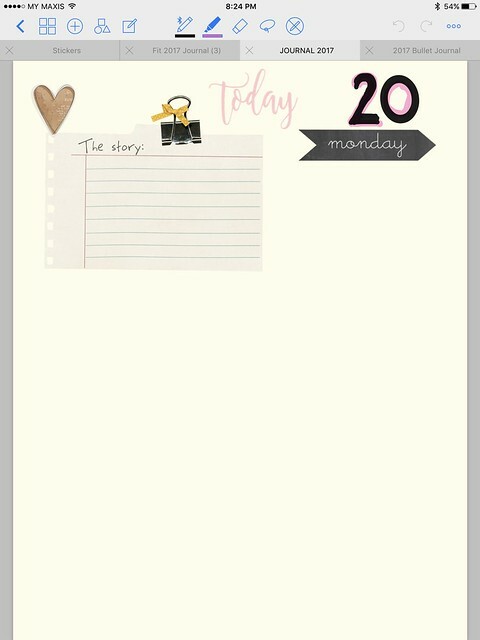 I plan to use GoodNotes app just to keep things simple. I have been using GoodNotes app for the longest time now. Mostly for meeting notes and digital planner (with iPlanner inserts). I used Apple Pencil as my stylus for my iPad Pro 9.7" and I am in love with the process. At first I wanted to design my own cover, then I decided to keep as close as a real thing as possible. Which means I will be pasting some images and quotes on the cover. I only got a few pages in. I am still trying out which paper to use. 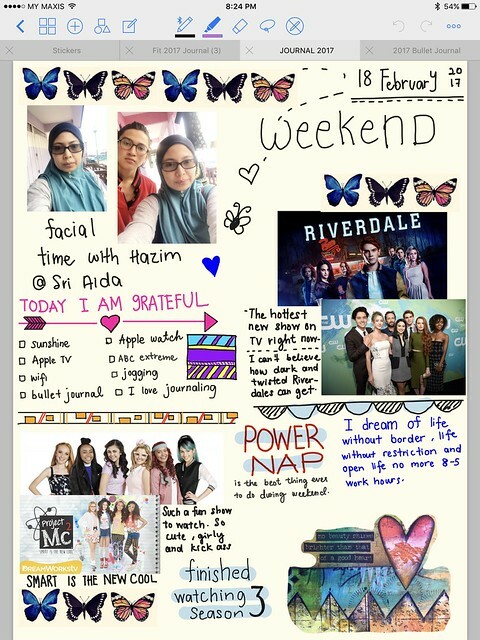 The best thing about digital journal is I can use any paper that I like. I can changed the paper every time I want to write in this journal. I can either typed in my journal or write/ doodle and color. Adding images is so easy. Basically the sky is the limit here. 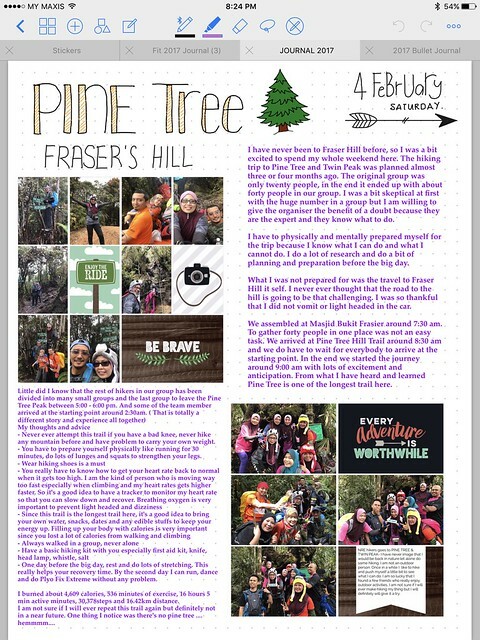 This type of journaling open up a new obsession for me. I am constantly hunting for beautiful images, quotes and doodles on google. The only downside of this method is battery life. I wish this iPad can run for a week without having to charge it. Believe me when I tell you that writing constantly on your iPad does eat up your battery quickly. 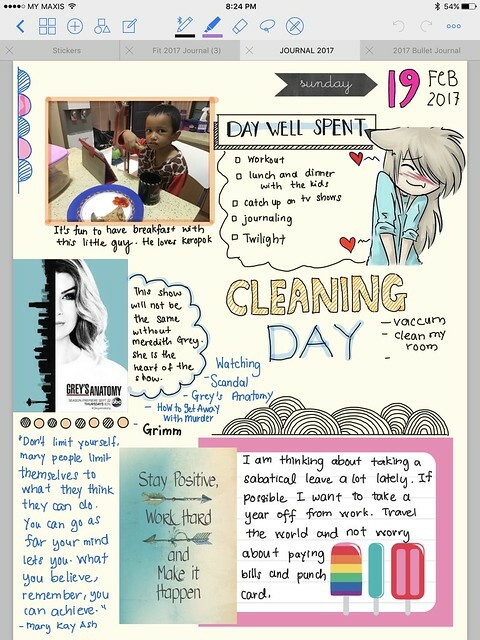 If you have an iPad and a note taking app and you enjoyed writing, why not give digital journaling a try. You might like it.